I loved this book. From the cover to the very last page, this book moved me in many ways. I lost my Dad a couple years ago and not a day goes by that I don't miss him. This book was an emotional read that brought back so many wonderful memories and also showed just how difficult being a parent is, no matter the circumstance that brought you to being one. This was a sad story at times, and given the tragic circumstances that brought Harvey and her uncle together to become a family, that was only to be expected. I did enjoy the power of redemption type theme that I felt the uncle's life brought to the story and I definitely loved that the social worker involved was such a hero. 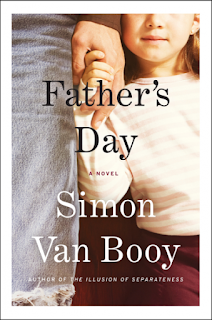 The story was one that moved me in many ways as there are always those people who become our family when they may not have wanted to or may not have been expecting to. This story demonstrated that in epic proportions. I think it is a true tribute to the ties that bind us as to how this story played out. A great read, but a bit slow at times, I was captivated by the tale of a family that came to be and the love they shared. Stories about men who are good dads really touch my heart, because my dad was (and is) such a wonderful man.